After conducting need finding using face to face interviews, online interviews and surveys, our team developed the prototype below. Major themes that we wanted to address included flexible space ("Let me work on my own or with a group"), technology ("I need access to better software for data analysis"), and creature comforts ("I live on coffee and a snack certainly doesn't hurt"). Our initial prototype is included below. After the initial prototype was completed, our group conducted field testing of our initial ideas. 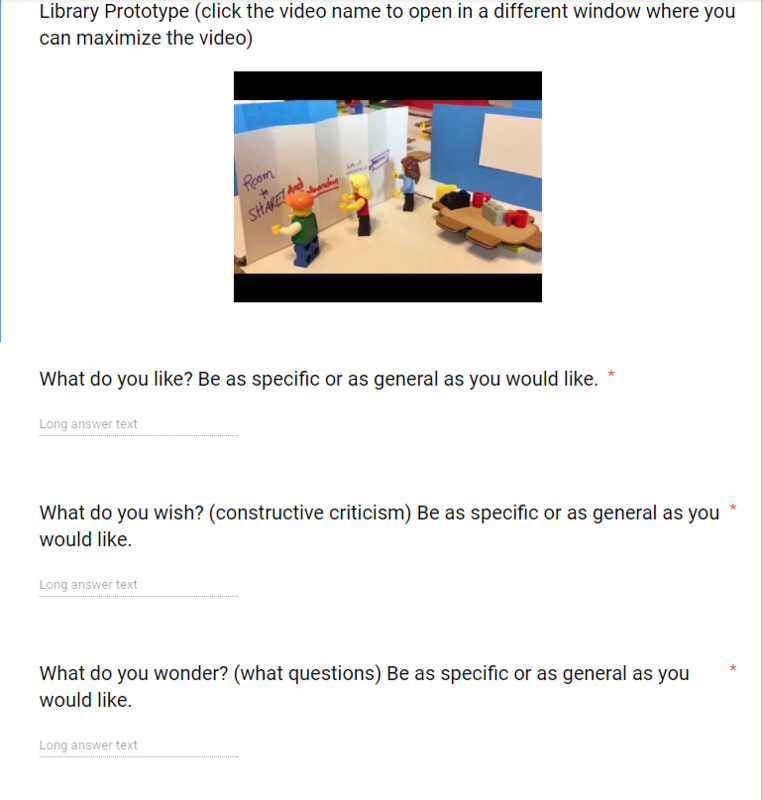 We used a survey to gather responses from potential users as well as stakeholders. A screen cap of the survey is below. You can click on the image to go to the full survey. ​From the survey, we gathered our feedback and used mur.al to visually organize the data. The grid below reflects feedback we have received and may be included in future prototypes. The major issues with our prototype included issues that needed clarification such as how childcare would be handled, how much privacy would the expandable walls provide; and issues related to technology, specifically, more computers with data analysis would be needed.